For many users, Android Just Got Your First Android Device? Here Are Simple Answers To Your Everyday Questions Just Got Your First Android Device? Here Are Simple Answers To Your Everyday Questions The popularity of Android has been on a slow but steady rise. If you aren’t using an iPhone, then your options are pretty limited: Blackberry for the business folk, Android for the everyday iPhone equivalent,... Read More is the mobile operating system that revolutionized the smartphone market thanks to the level of customization it allowed. Don’t get me wrong: the iPhone and the Blackberry (and more recently, Windows Phone) all have their place in the market, but nothing beats the out-of-the-box capabilities for personalizing an Android. And what iconifies the smartphone experience better than the home screen? You look at it day in and day out. It’s the gateway that lets you move from app to app. 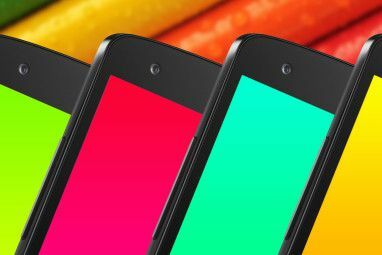 Without a home screen, the smartphone becomes a big fat nothing. It’s the core in terms of experience, so if there’s one thing you need to personalize, it’s that. There are a multitude of Android launchers 5 More Free Launchers You May Not Have Heard About [Android] 5 More Free Launchers You May Not Have Heard About [Android] One of the great things about the Android community is that modifications and changes are always being made. 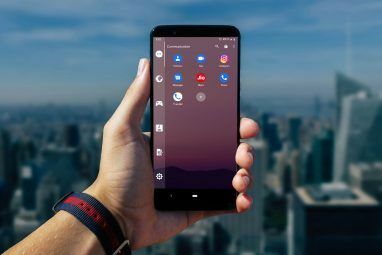 Android technology is always changing, and thus, there are always new avenues to explore--and so many more... Read More out there, but Apex Launcher separates itself from the others with its sheer amount of customization. This is what Apex Launcher looked like when I first installed it. Based on this screenshot alone, you might think that it isn’t very different from all the other launchers out there. And honestly, that’s not far from what my first impression was, but I spent a good bit of time with Apex and ultimately came to love it. On the home screen, if you press the Android Menu button, you’ll be greeted with a number of options – far more than you’d normally see in a launcher’s menu. When I first saw it, I went through a rollercoaster of emotions (all right, it was a tiny rollercoaster): “wow,” then “ugh,” then “oh, cool.” At first it’s impressive but shortly after it seems overwhelming, but really it’s quite convenient. Add: This is the same thing as long-pressing on an empty spot on the home screen. It allows you to add new actions, shortcuts, and widgets. More on this later. Wallpaper: Changes your current wallpaper 7 Sources To Download Quality Android Homescreen Wallpapers 7 Sources To Download Quality Android Homescreen Wallpapers The web is a rich repository of all kinds of goodies for your mobile phone, whether it is an iPhone, Blackberry, Windows Phone 7 or Android device. In fact, we have rounded up some of... Read More . Theme Settings: Apex Launcher supports multiple themes, though it only ships with one as default. If you download more of them, this is where you’d set them. Manage Apps: Browse through your apps and uninstall them if necessary. Manage Screens: The home screen is comprised of multiple pages that you can swipe between. This option lets you delete some, add more, or just rearrange them. Apex Settings: Here’s the main option that you’ll use most of the time. It’s the gateway to dozens of other settings for launcher customization. System Settings: Basically the same thing as hitting the “Settings” shortcut. Lock Desktop: Once you’ve arranged everything into perfect position, you can lock it down so nothing ever accidentally messes it up. Remember the “Add” option on the Apex menu? This is where it takes you. 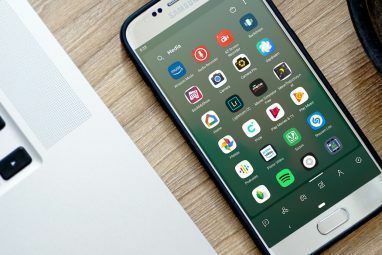 As usual, you can create new home screen buttons, which act as shortcuts to your apps, or widgets, which provide your home screen with additional functionality. For example, a weather widget Predict The Future (Of Weather) With These 7 Awesome Weather Apps [Android] Predict The Future (Of Weather) With These 7 Awesome Weather Apps [Android] Correctly predicting the weather is about as easy as eating a handful of screws, yet we keep attempting it day after day. Sometimes we get it right; most times we don’t. However, weather information is... Read More that shows you the current temperature. But the cool thing about Apex Launcher are the built-in Apex Actions. These are regular home screen buttons which perform small actions that might otherwise be inconvenient or tedious. Some of the cooler ones that I saw: toggle status bar, which shows or hides the top bar, toggle dock, which shows or hides the bottom dock, and default screen, which instantly takes you to the main home screen page (useful if you have numerous pages). Just look at all of those options. This is what you get when you select “Apex Settings” from the home screen menu and, as you can see, Apex has a ton of settings that you can alter. No word of a lie, nearly every category on the left side of the above image has just as many options as the menu on the right. Talk about flexibility. I don’t think I need to go through every single option here. Suffice it to say that if you want to do something, there’s a good chance you can. Be sure to check out the “Behavior” settings (where you can set the behaviors for pinching, swiping, etc.) and the “Folder” settings (where you can set the behavior of folders on the home screen). Having played around with Apex Launcher, this is my final result: a single 5×5 grid with a little over a dozen of my most frequently used apps. Sure, it doesn’t look very fancy, but that’s because I’m a minimalist and simplicity is my game. I assure you, however, that Apex Launcher can do a bunch of neat things if that’s what you’re into. 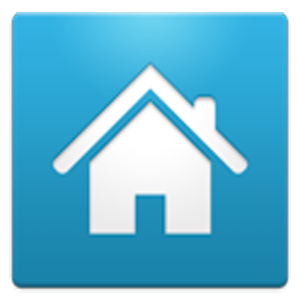 Apex Launcher was designed and built specifically for Ice Cream Sandwich devices, which means that you need Android 4.0 or higher in order to make use of it. If you have an older device that you overrode with a more recent version of Android (like I did) then you’ll be able to enjoy Apex Launcher, too. And no worries: it runs just as fast on puny hardware. I’m running the original Galaxy S and it runs as smooth as fresh paint. All in all, Apex Launcher is a fantastic app that has the potential to give your phone a complete makeover. I highly recommend it. The only limit is your creativity and how imaginative you can be in fooling around with the settings! Apex and Nova are similar, both are better than bloated Touchwiz that came with my phablet. I observed more than 100 MB free RAM when using Nova over TW! TouchWiz is total Sh*t. If there is a reason why do i like Holo launcher then the reason would be "It is highly customizable & gives me pure android like feel".